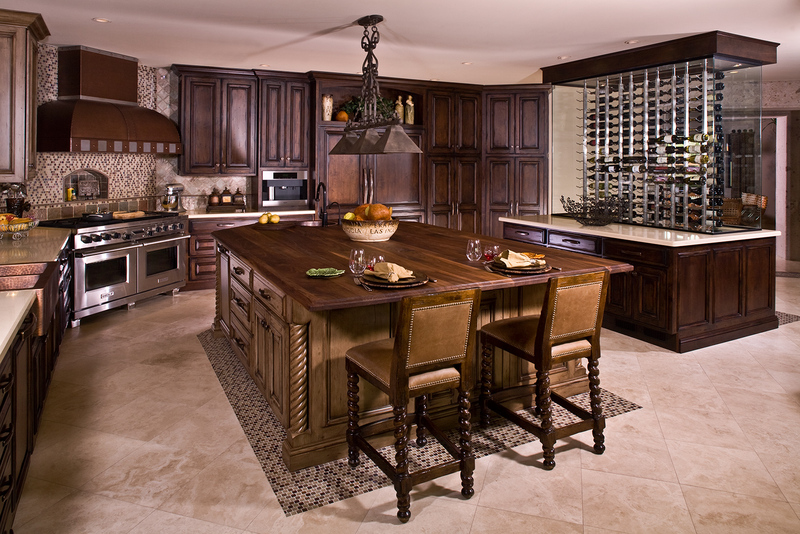 Kitchen: At once spacious and warm, this kitchen remodel in North Scottsdale incorporates subtle architectural detail alongside showpiece features like the oversized copper-and- stainless-steel hood and custom-designed wine storage unit. Mosaic tiling on the floor and backsplash, copper sinks and a butcher-block countertop on the oversized island create visual interest in this contemporary-eclectic interior design scheme. 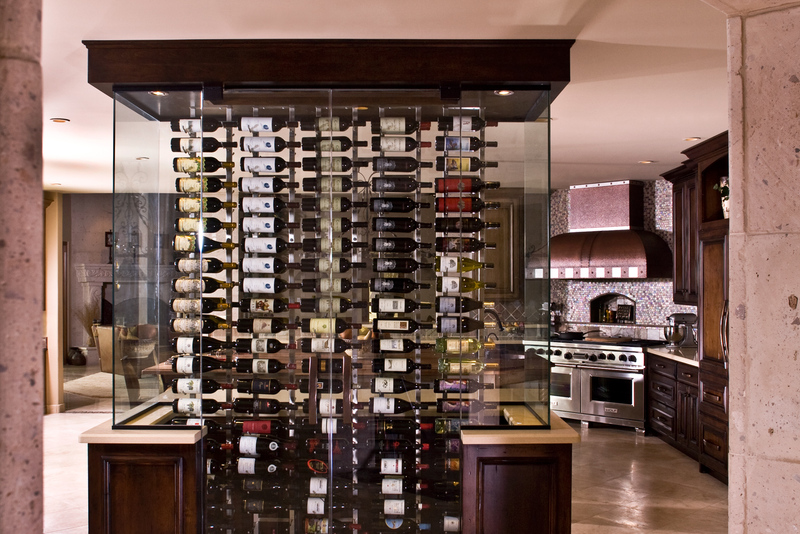 Wine-Storage Unit: As the focal point for the kitchen of a professional baseball player, this custom designed wine-storage unit enjoys sightlines from the living, dining and family rooms as well. 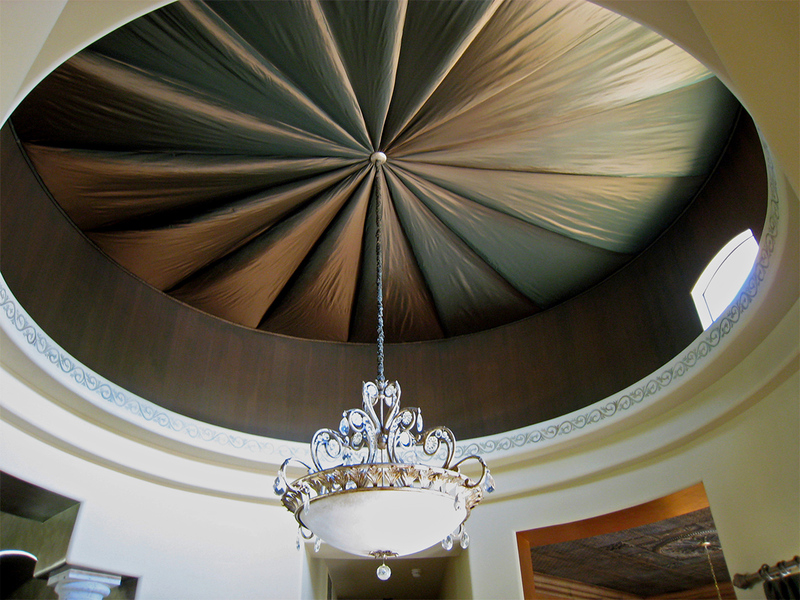 Not only is the climate-controlled unit effective, it's also emblematic of the possibilities of custom interior design. Family Room: This fireplace was completely transformed from a small, understated fire box to an expansive floor to ceiling focal point wall. 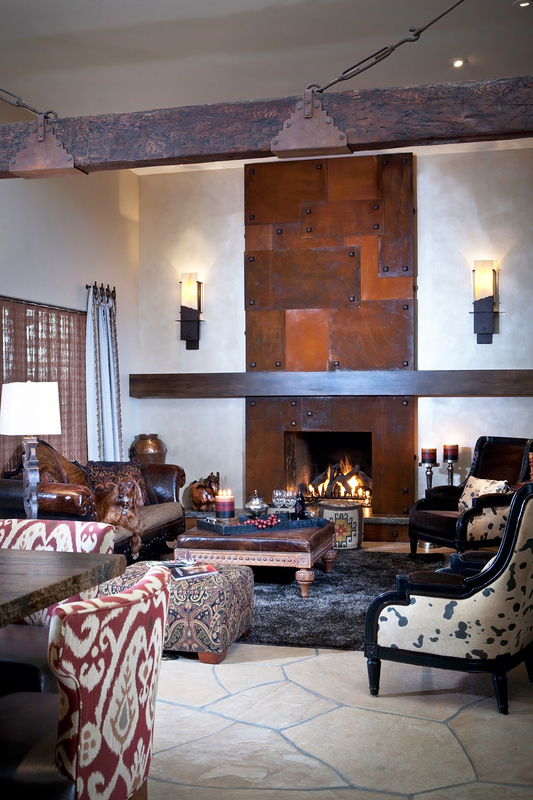 The fireplace is clad in rusted copper metal with over-sized square grommets to accentuate the square patchwork design. The mantel was taken the length of the wall to visually mimic the exposed beam suspended from the ceiling. 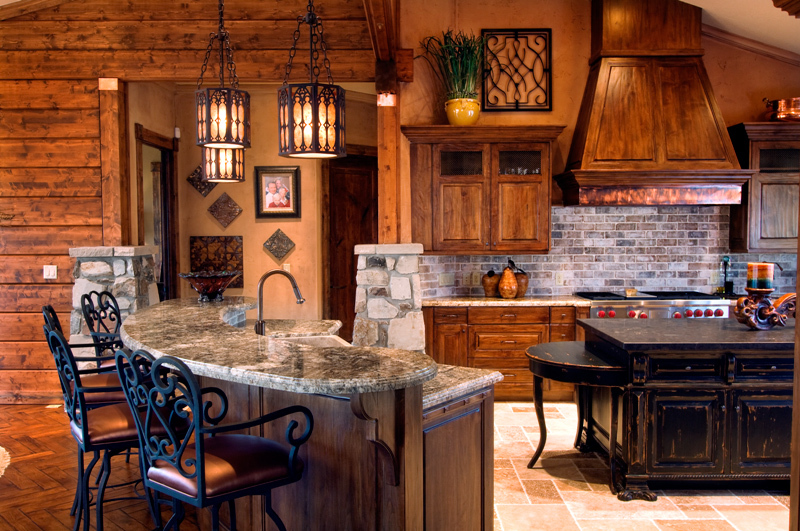 Kitchen: Southwest interior design meets Mediterranean inspiration in this open kitchen. Strong geometry and rustic elements are softened by the plush upholstered pieces. 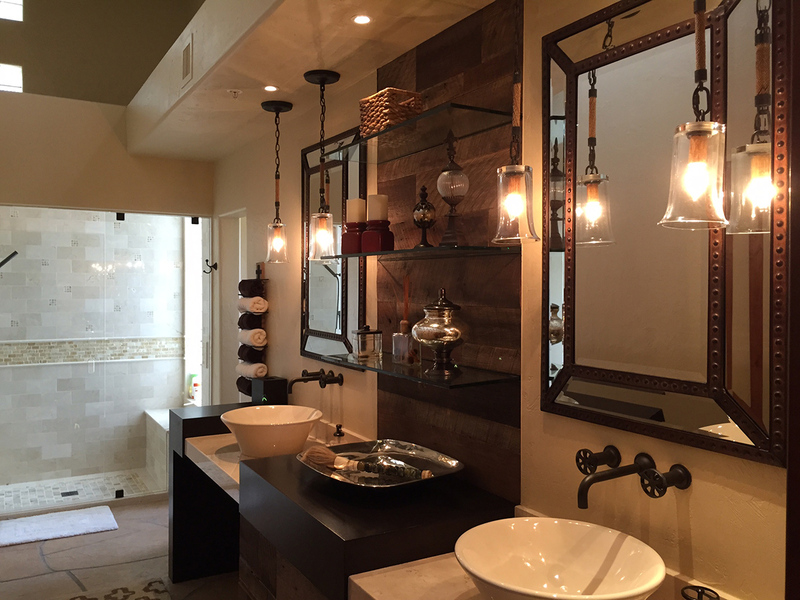 The resulting aesthetic is both rustic and elegant as well as profoundly inviting. Living Room: What was once a nondescript, boxlike fireplace is transformed into the room's focal point, thanks to the copper panels stretching from floor to ceiling. 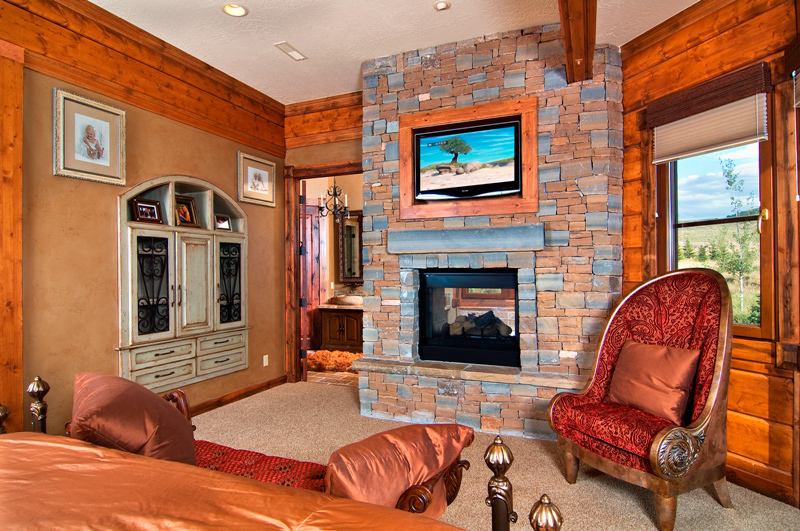 The horizontal mantel resonates with the ceiling beam by running along the span of the room. 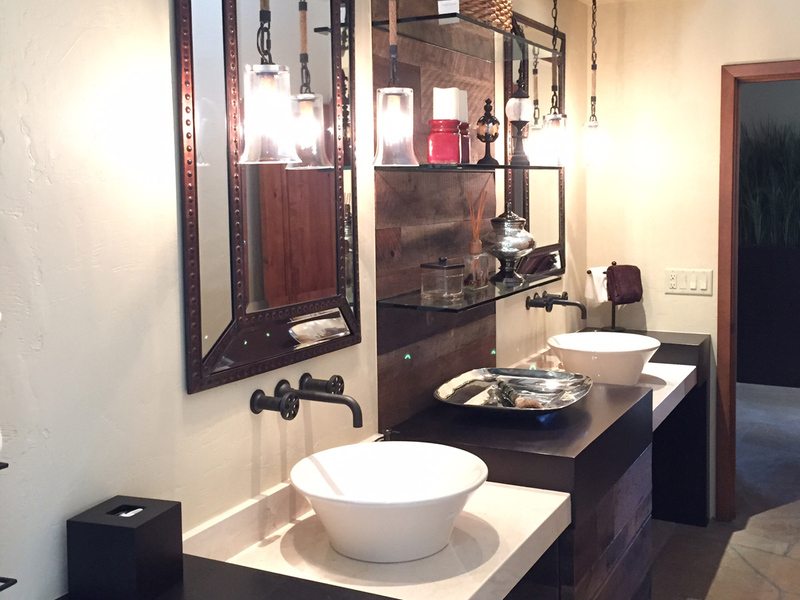 Bathroom: This guest bathroom remodel features a custom designed vanity showcasing reclaimed walnut wood, marble counter tops and onyx accents. 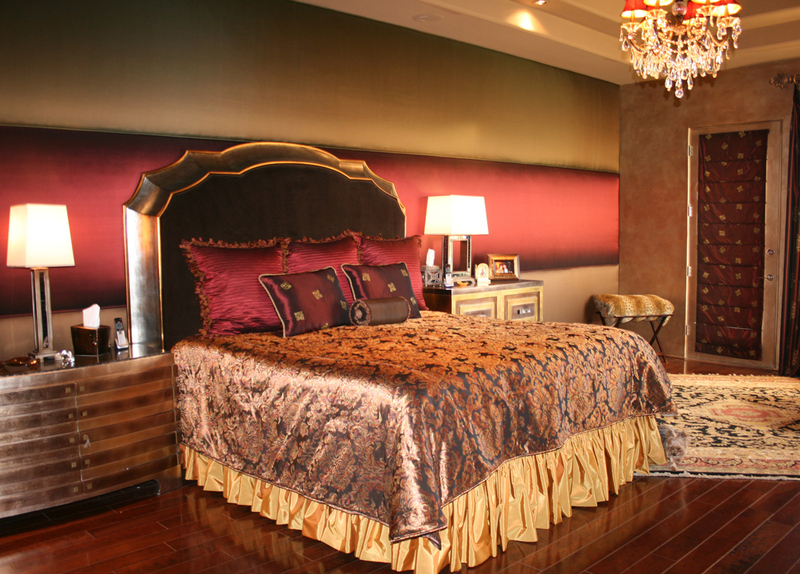 Master Bedroom: The master bedroom of this 6,000-square- foot North Scottsdale home feels lavishly inviting, thanks largely to the three stripes of silk taffeta upholstering the wall behind the bed. 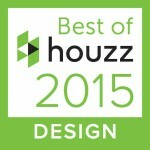 Sumptuous furnishings and finishes round out the interior design of this Scottsdale remodel. Master Bath: Featuring a symphony of architectural details, this master bath remodel includes hand applied finishes, detailed mosaics, carefully crafted vanities and a unique blend of form and function. Living Room: Boasting views of Park City, a dramatic chandelier and, of course, an imposing stone fireplace that serves as the room's focal point, this home celebrates a new perspective on rustic interior design. Kitchen: As evidenced by this kitchen, cabins don't have to be provincial. 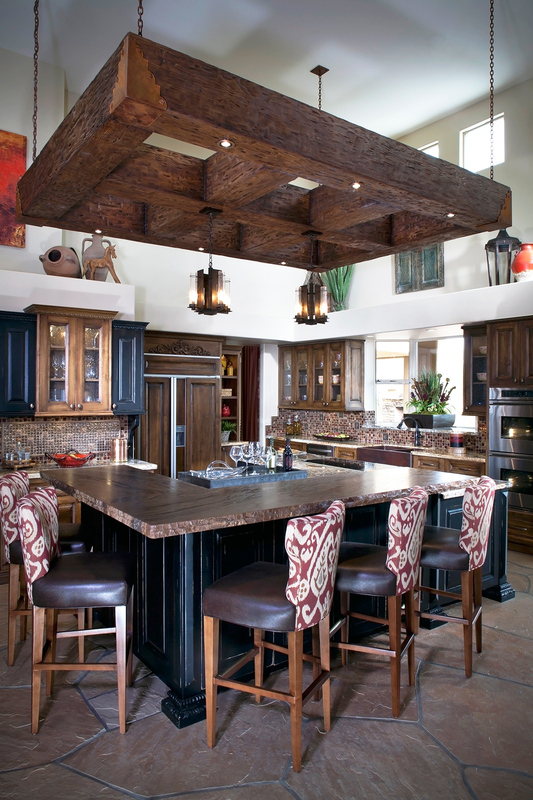 Rough-hewn log walls are balanced by two-tone distressed cabinetry, granite countertops and a spectacular copper hood. 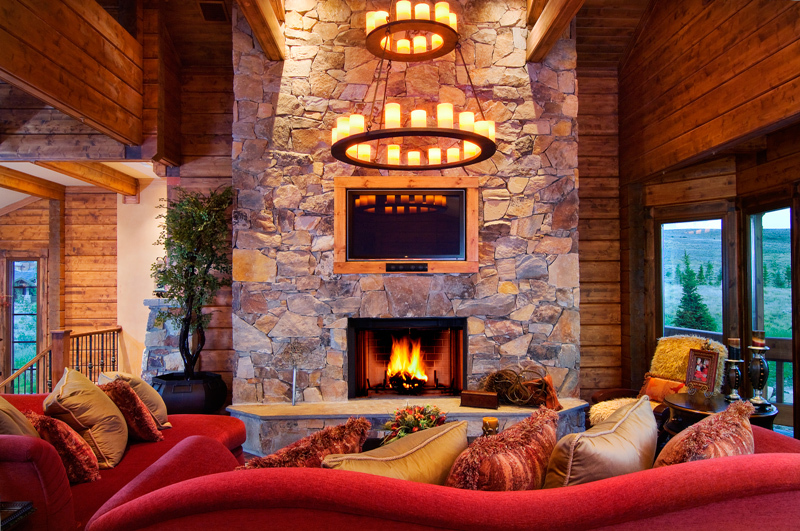 Theater: Within this 7,000-square- foot, Park City cabin, the homeowners and their guests can enjoy a different sort of escape - into Tinseltown. 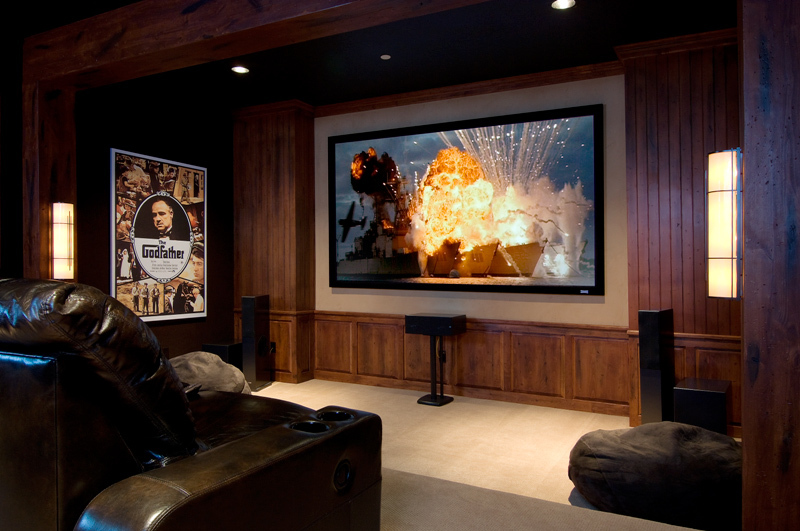 Exemplifying the possibilities of custom-home interior design, the sophisticated theater features custom-designed, theater-style seating and state-of- the-art technology. Bedroom: Guest Suite: In a nod to the Park City skies just beyond the French doors, the walls of this guest suite are swathed in shimmering blue. 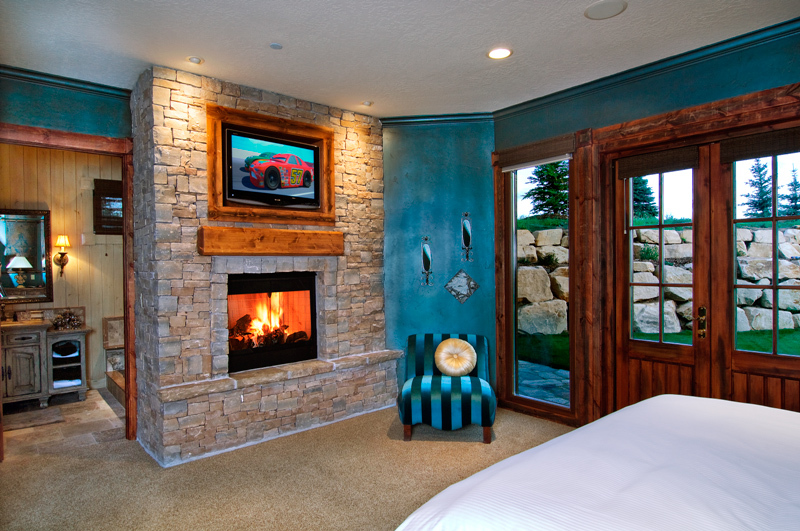 The double-sided stone fireplace, meanwhile, is both functional (providing warmth in the bedroom and bathroom) and beautiful. Master Bedroom: Home to a professional baseball player, this Paradise Valley remodel features lavish touches in the master bedroom. 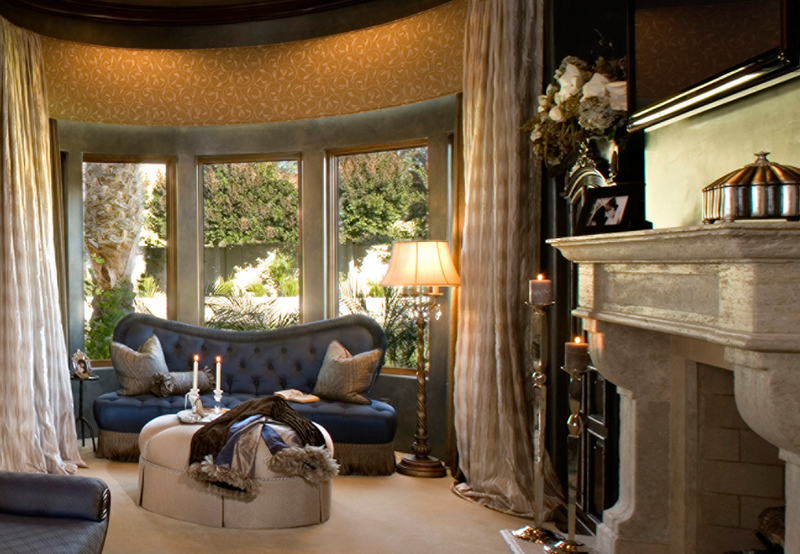 Blues, silvers and chocolates harmonize in the background, while walls and ceilings wear sumptuous finishes. Ceilings are glazed, walls are upholstered and silk tiles adorn the wall behind the magnificent mahogany four-poster bed, which was based on an 18th-century French design. 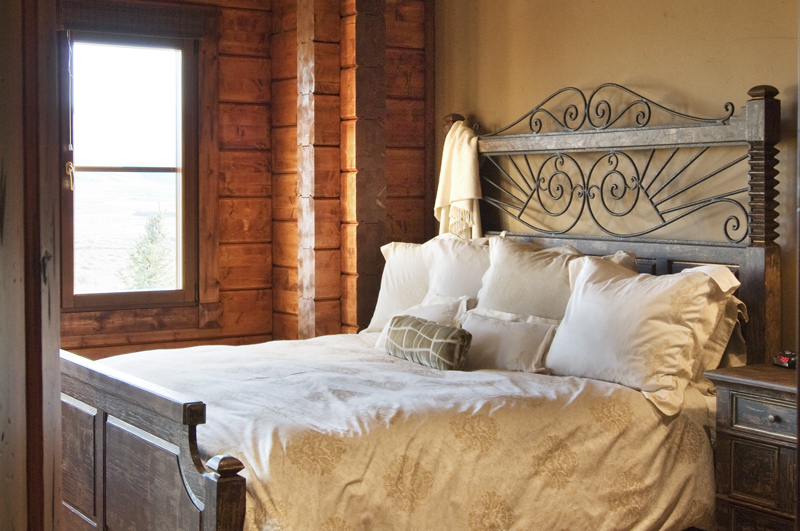 In a nod to Old World interiors, a stunning Italian fireplace sits opposite the bed. 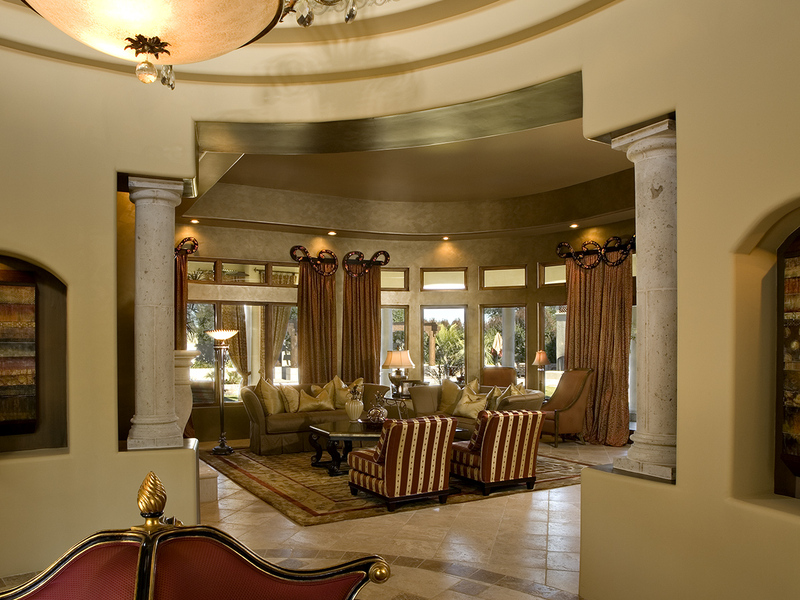 Dining Room and Entry: Designed according to the client's taste and wishes, the dining room and entry exude Venetian-inspired luxury. 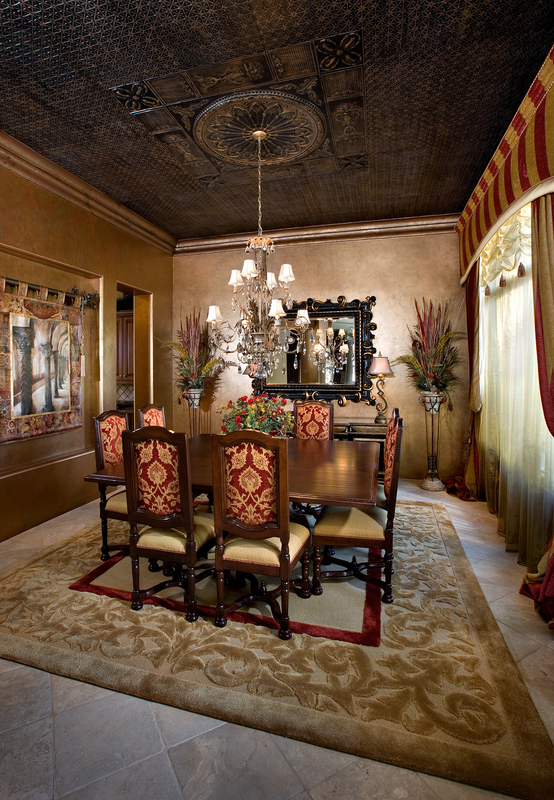 A metallic bronze glaze in the dining room, coupled with a tin ceiling, feel both warm and ornate - perfect for intimate entertaining. In the entry, the unique, fourseat settee makes a bold statement in red and invites people to pause in the rotunda of this 10,000square-foot Paradise Valley remodel and enjoy the views to the formal living room, with its silk window treatments, iridescent walls and baby grand piano. 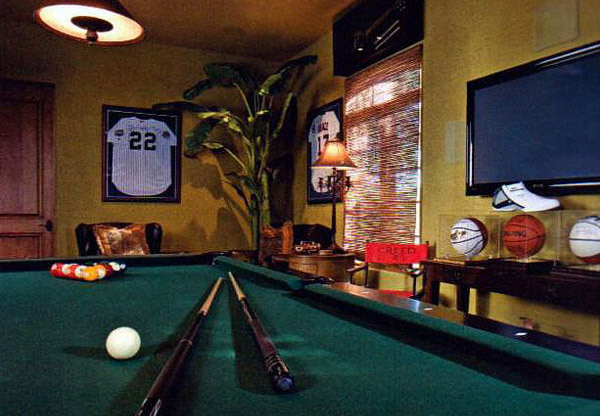 Man Cave: As the man cave for a professional baseball player, this casita-turned- sports bar features plenty of trophies and memorabilia. But they stand out because of the subtly luxurious interior design, which includes a bamboo wall treatment and a custom pool table with alligator-skin pockets. 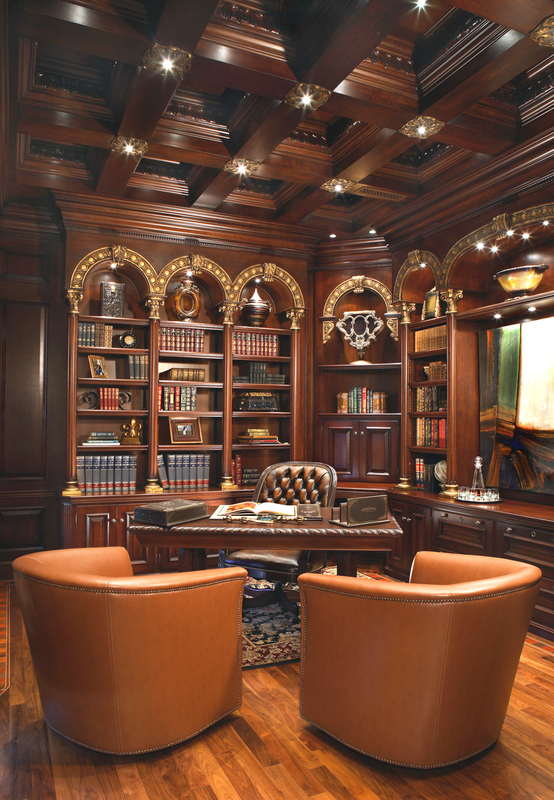 Library/Office: Rich woods, gold accents and a magnificent coffered ceiling create sophisticated drama in this office that's designed to impress. The homeowner, a professional baseball player, uses the space both to work and to receive clients and visitors. As a result, custom-designed cabinetry conceals office equipment, leaving guests free to admire the richness of the space. 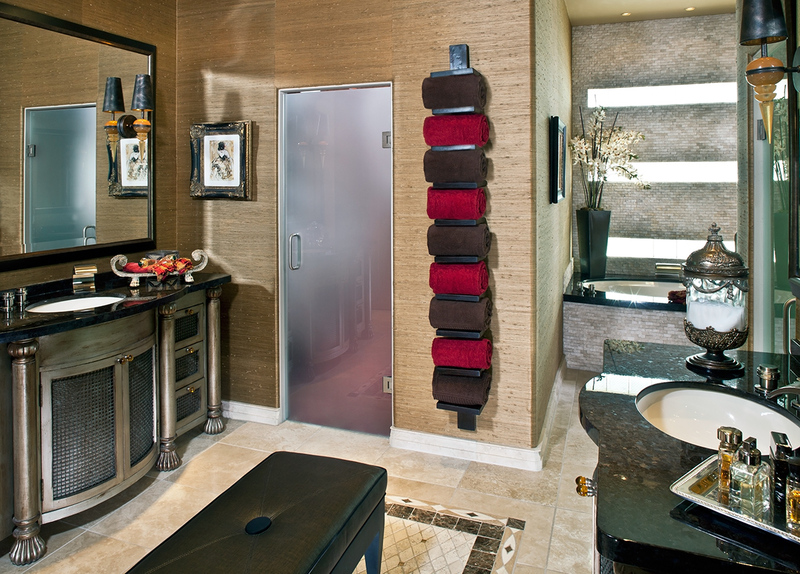 Master Bath: Setting a new standard for interior design in Paradise Valley, this remodeled bathroom features Italian marble, iridescent Venetian plaster and sumptuous silks. The custom-designed vanity not only enriches the space, but in a stroke of surrealism, it also features in a commissioned oil painting hanging in the bathroom that depicts the owner at her toilette.